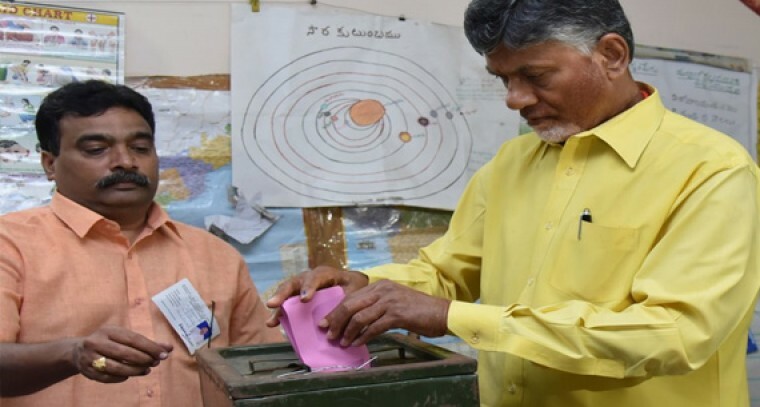 Amaravati: The TDP president and AP CM N Chandrababu Naidu has cast his vote for MLC elections at ZP elementary school in Tadepalli on Friday. For one Teachers and two Graduates MLC seats the elections are going on in the state. In Telangana for one Graduates and Two Teachers constituencies, MLC elections are been carried out. The polling will continue till evening at 4 PM. The polling percentage till now; Srikakulam -Vizianagaram - Visakhapatnam Teachers Constituency - 33.99%, 2. East Godavari - West Godavari Graduates Constituency - 8.25%.